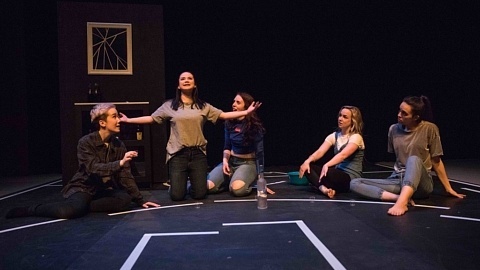 It isn’t often that a play begins with a three-minute sequence of a man making a sandwich, and ends up becoming one of the most touching pieces of theatre you can imagine. 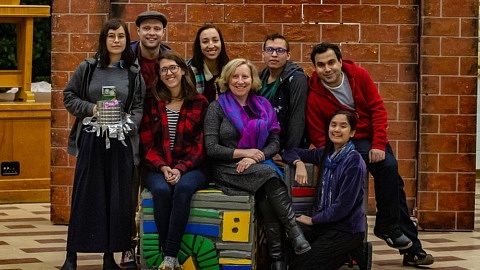 Essential Collective Theatre’s production of The Drawer Boy, directed by Monica Dufault and written by Michael Healey, brings us back to the summer of 1972. 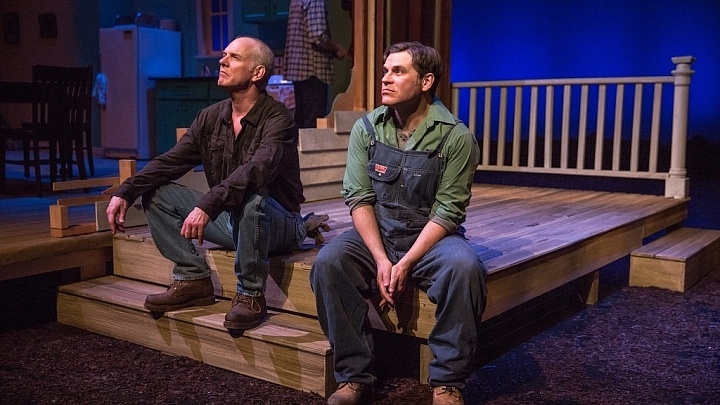 Long-time friends, Angus and Morgan (played by Tony Munch and JD Nicholsen) have lived on a small farm in Ontario since returning from the war thirty years previous. 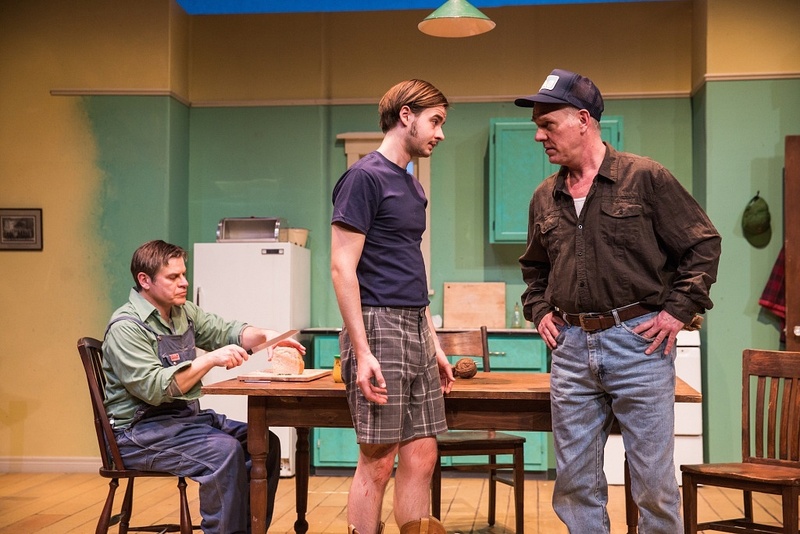 Their routine is interrupted when Miles (Landon Doak), an actor writing a play about farming, arrives from Toronto to gain first-hand insight into what life is really like on a farm. It isn’t long before he’s getting his hands dirty (and learning how to properly reverse a tractor without harming those around him), but the longer he spends on the farm, the more secrets come to light. Dufault assembled an all-star cast of actors to tackle this difficult material. Doak charms as the seemingly clueless city boy, who’s never held a chainsaw much less milked a cow, and contrasts marvelously with Nicholsen’s Morgan, a hardened, no-nonsense farmer whose only soft spot lies for his friend. Munch pulls at everyone’s heartstrings as Angus, whose ability to retain memories was damaged during the war. 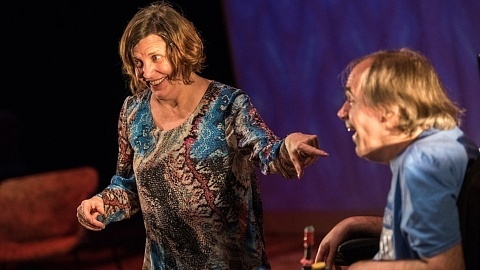 He manages to communicate great depth with very little dialogue (much of it repetitive), and in the final scenes of the play he leaves you absolutely speechless with an emotional outburst that should win him a Dora Award. 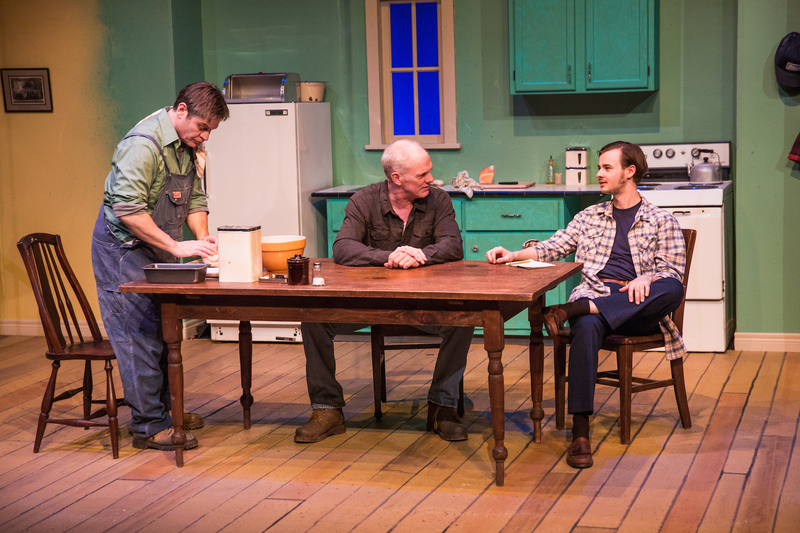 The set, designed by David Antscherl, is a farmhouse kitchen built up on a platform, connected to an outside deck and leading outside (where some familiar trees stood, for those who saw Falling: A Wake in 2015). What made the set particularly impressive were the tiny details that made it look unfinished (to meld with the story that Morgan tells Angus about a house they were going to build together). Green paint covers the wall above the fridge and the stove, but the rest of the room remains a mustard yellow, and we can see the remains of dimension markings on a side wall. Most important is the faded spot on the wall where something once hung, but has since been removed. Also integral to the plot are costumes (designed by Roberta Doylend), in particular those of Miles, as he slowly transitions from a fashionable Toronto wardrobe complete with leather shoes, to clothes much more suitable for a farm boy, and finally ending in flannel and boots to match his comrades. The Drawer Boy (as in someone who draws, not a dresser drawer as you might initially think), is a moving piece about friendship, farming, and the lengths people will go to protect the ones they love. It serves as an excellent reminder to those of us who are far removed from the farming community just how difficult that lifestyle is, physically, emotionally, and financially. It’s also one of the few pieces of theatre I’ve seen depicting such a pure friendship between two adult men, and as such offers an important step towards breaking down the toxic culture of masculinity, which remains a concern 18 years after the play was written. There’s nothing flashy or pretentious about this production, but beyond being a masterclass in acting, it reminds us that sometimes the simple things in life, like counting the stars or enjoying a sandwich with a good friend, are the most important of all.